Wkly Brief – Why Follow NWSL? Following women’s professional soccer is one of my hobbies. The athletes are talented, professional, accessible, and underrated. In the international arena they face each other as adversaries. In the National Women’s Soccer League (NWSL), US players join with international adversaries to face their national teammates. Friends or foes, their greatest struggle is funding their league so that young female athletes can dream of greatness. I have followed women’s soccer from the WUSA to the WPS, and now to NWSL. I have watched the players wade through bankruptcy, World Cups, manager issues, and the Olympic Games. I have seen Gold Medalists, who would be treated as celebrities if they were male baseball players, shake hands with hundreds of young fans and their parents, and play side-by-side with youth soccer players. Any of the US National Team Games. Next up in the States is US vs. France; first in Tampa, FL on June 14 and then in Hartford on June 19. 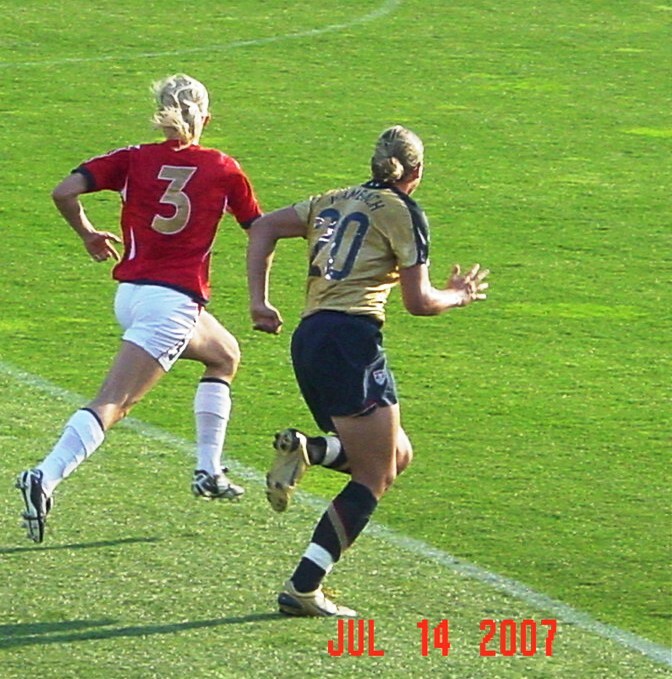 Try to catch Carli Lloyd (M), Abby Wambach (F) and the Western NY Flash take on Heather O’Reilly (M), Cat Whitehill (D) and the Boston Breakers in Rochester, NY on June 27th. The West Coast will host the Boston Breakers on July 6, when they face Seattle Reign FC. With any luck, Seattle’s powerful trio of Leroux (F), Megan Rapinoe (F) and Stephanie Cox (D) will take the field. FC Kansas City with Amy Rodriguez (F), Nicole Barnhart (GK)and Becky Sauerbrun (D) hosts Sky Blue FC with Christie Rampone (D) and Kelley O’Hara (D) on July 27th. Other players to watch include Lori Chalupney (M) for Chicago Red Stars, Canada’s Erin McLeod (GK) for Houston Dash, Alex Morgan (F) and Canada’s Christine Sinclair (F) for Portland Thorns. I appreciate these players, their love of the game, and the legacy they are creating for future generations of young women. Note: This post was inspired by the DP Challenge, List Lesson. This entry was posted in Just for Fun, NWSL (Soccer), Weekly Brief and tagged Abby Wambach, National Women's Soccer League , NWSL, Soccer, women's professional soccer, Women's soccer, WUSA. Bookmark the permalink. 6 Responses to Wkly Brief – Why Follow NWSL? I thoroughly enjoyed this. It was not a story but engaging, nonetheless. Enjoy your time at the 2015 games. BTW, did your love for this sport come as a result of your years on the field in soccer? Thanks for visiting. My love of the sport developed over many years as I watched my children learn to play and discovered that my father played in HS. Coaching 8-9 year-olds was one of my best-ever experiences. I wish I had played!